Diabetic Foot or Diabetic Foot Ulcers is one of the most significant and rapidly growing complications of diabetes. 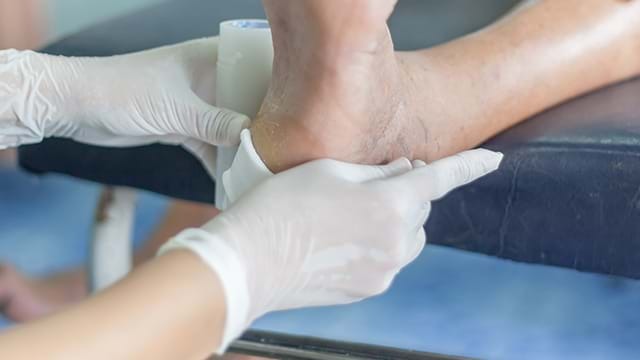 Despite the advances in treatment options, the outcomes for the patients with Diabetic Foot Ulcers have not improved. The successful treatment is hindered by the lack of targeted therapy that hones in on the healing processes deregulated by diabetes. In this regard, a stem cells therapy can be a promising tool, being capable of bypassing the underlying abnormal healing mechanism as well as accelerating the initial healing stages such as inflammation, secretion of immune cells and proliferation of damaged cells. For diabetic foot, wounds and other open sores; we have designed a specialized therapy that employs a patient’s own PRP which is actually a plasma rich in the platelets. These platelets can secrete growth factors and cytokines enabling faster healing and regeneration of damaged cells. In general, for the treatment of Diabetic Foot, PRP is infused locally around the wound to speed up the process of effective healing. Our top priority is thus to provide a very comprehensive, individualized treatment pattern which is best suited for the patients undergoing treatment, aiming their maximum recovery; according to the pathophysiology of the injury.